Re-description of Little Known theraphosid Spider, Chilobrachys assamensis Hirst, 1909. 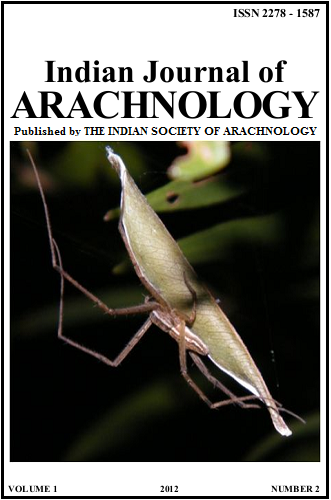 Analysis of Spider Density Across Shekhawati Aravalian Region of Rajasthan, india. First Record of The Spider Genus Orchestina Simon, 1882 (Arachnida, Araneae, Oonopidae) From India.